• Generation Citizen is working with schools to promote and coordinate action civics projects for students to foster agency and student leadership. • According to Tufts University’s Tisch College of Civic Life, strong civics education leads to increased student participation in the political process. How can donors help provide resources to these civics programs? •Read more about teaching democracy and lasting civic engagement. Generation Citizen works mostly with schools where a majority of students are eligible for free or reduced-price lunch, a proxy for poverty, to reach historically disenfranchised groups and close the civic participation gaps. Read the full article about empowering citizens by Laura Fay at The 74. 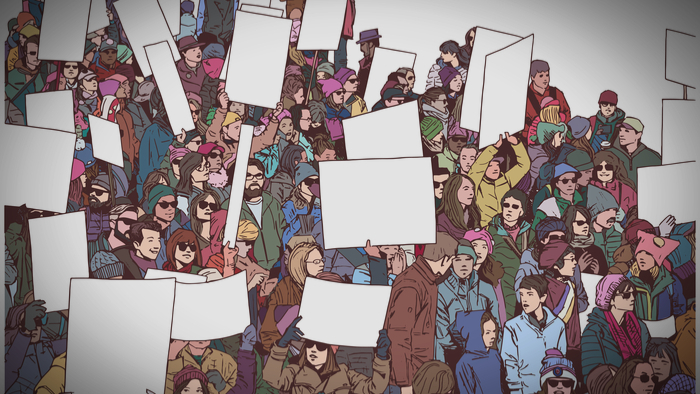 Giving Compass' Take: • Leslie Crutchfield shares her research about social movements aimed at understanding why some fail and others succeed. • How can philanthropy use this information to more effectively support movements? • Read more about the success of the LGBTQ movement. Leslie Crutchfield, author of How Change Happens: Why Some Social Movements Succeed While Others Don’t, who discusses six steps that are the key to successful social movements, the most important of which is grass-roots activism — protests, demonstrations, voter turnout. Crutchfield is the executive director of the Global Social Enterprise Initiative at Georgetown University’s McDonough School of Business and a senior adviser at consulting firm FSG. Of course, every movement has grassroots activism, protests, demonstrations, voter turnout. It was really surprising to me and my colleagues at Georgetown University who were working with me on the research that some movements just don’t master this. These might have grassroots, but they don’t invest in it, and that means real money, time, resources amplifying and nurturing the grassroots and realizing that change happens from the bottom up. Read the full interview with Leslie Crutchfield about impactful social movements by Denver Frederick at The Chronicle of Philanthropy. In addition to learning and connecting with others, taking action is a key step towards becoming an impact giver. If you are interested in giving with impact for Civil Society take a look at these Giving Funds, Charitable Organizations or Projects.